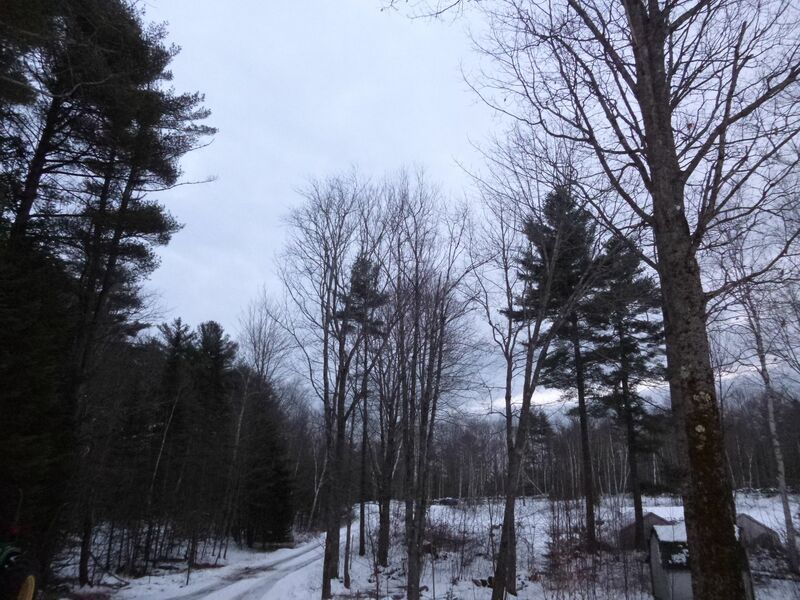 The weather over the weekend was pretty grey and nasty. By the end of the day Sunday the wind had come up and by yesterday morning the air temps were very mild, but the wind was bitter. We are all watching that big storm as it moves toward us, hopefully not leaving too much snow behind as it comes in tomorrow or Thursday. 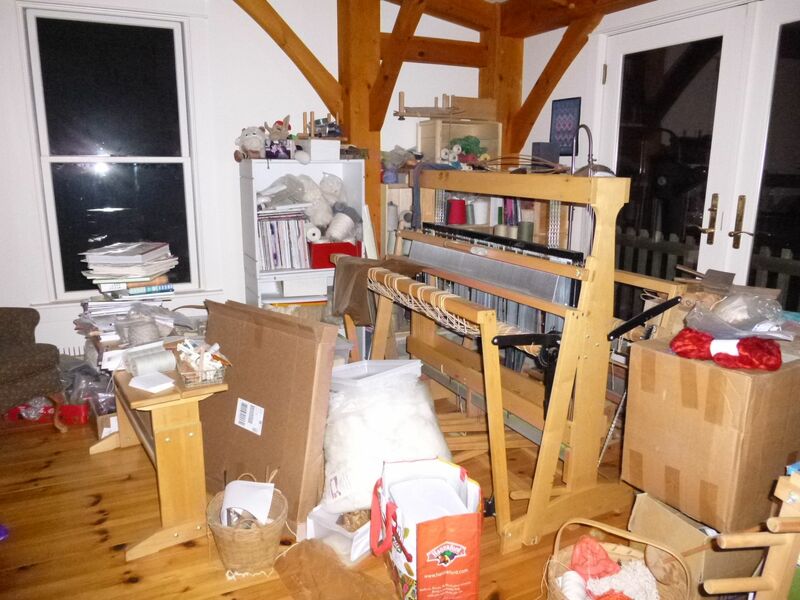 I spent most of the day Sunday up in the “fiber loft.” Actually got a lot accomplished, more than I thought I would. But still quite a long way to go. 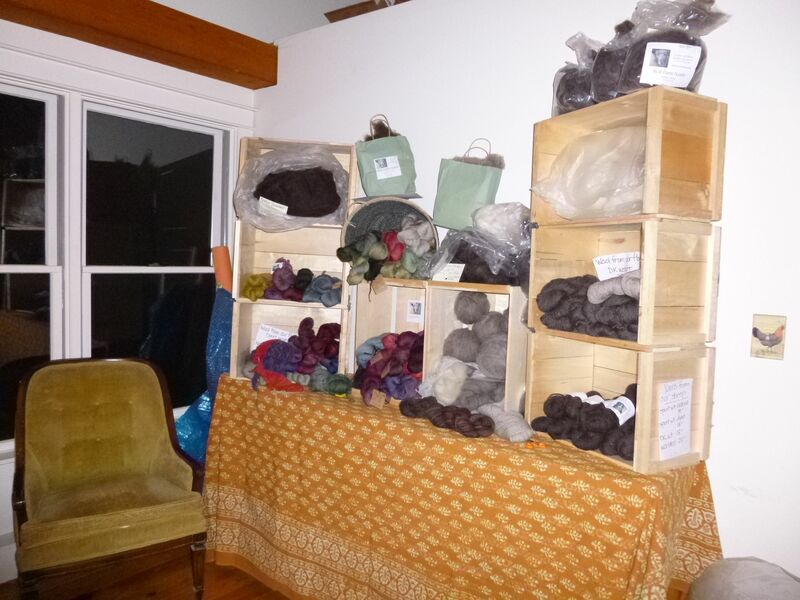 At least I have a setup that I think will be able to show our yarn and roving product well, should folks stop by the house. I am going to create another more portable setup for the farmer’s market. 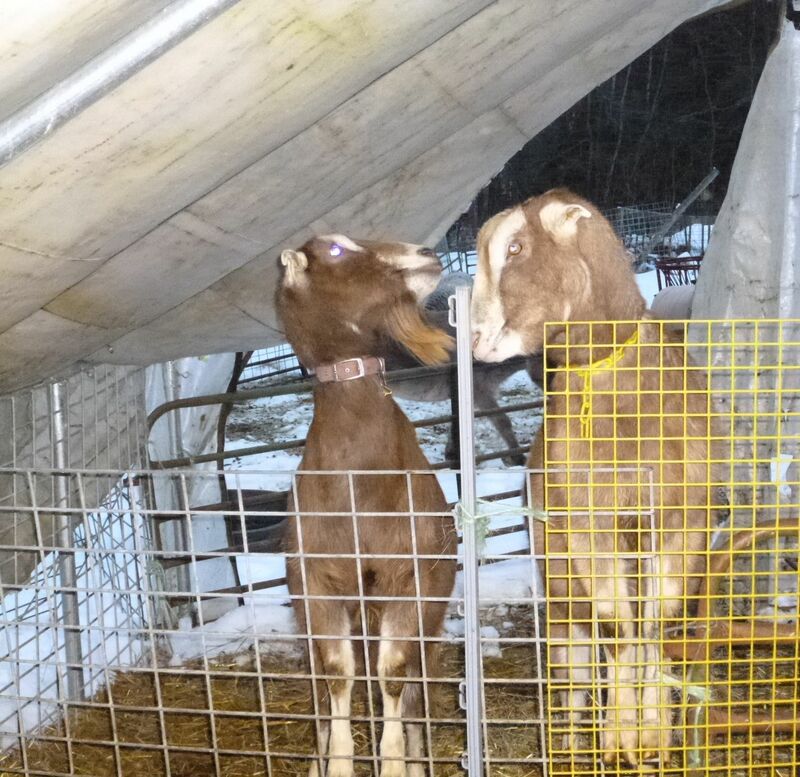 Thankfully that won’t begin until the second Saturday in June, after the annual Maine Fiber Frolic. Most of the reason I am working up there is because I can’t get anything accomplished. 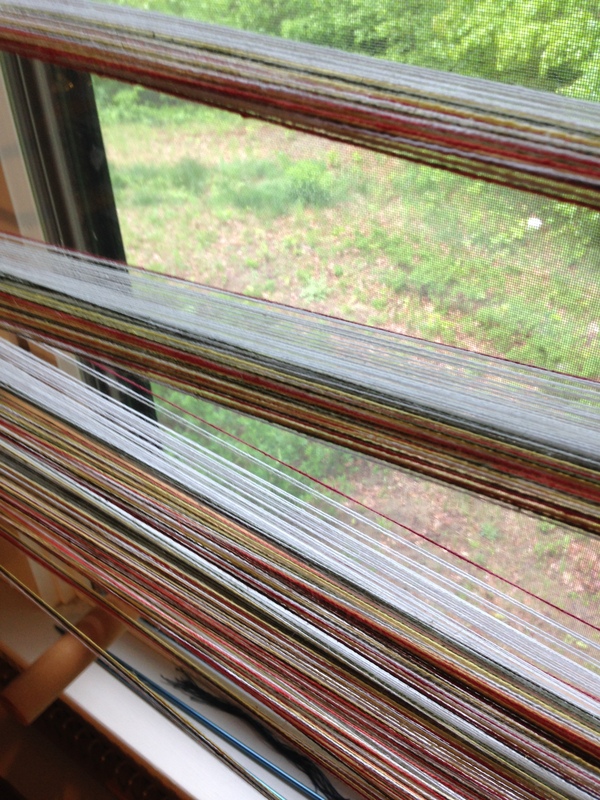 I am working on fighting my way to the loom on the far end of the space. I have a project almost all planned out, and I am itching to get started. 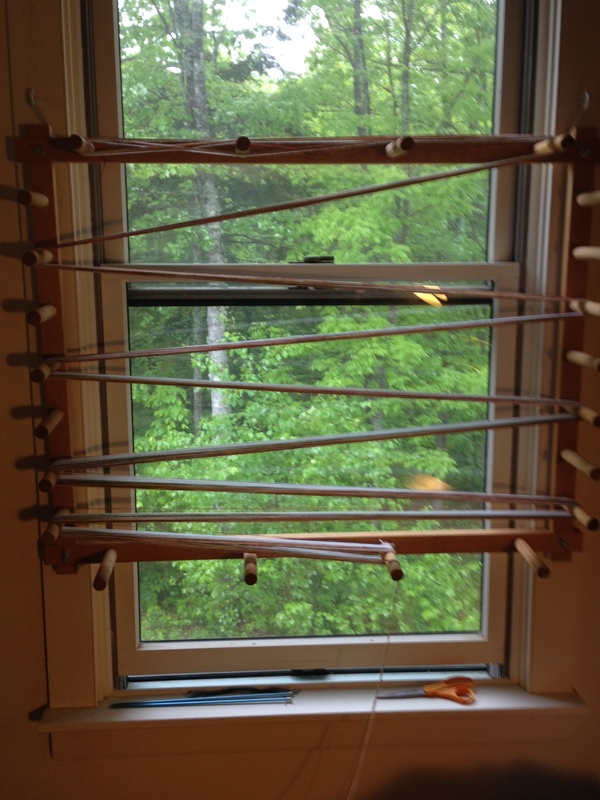 In order to do that I need to find a spot where I can hang my warping board to measure out the warp yarn. 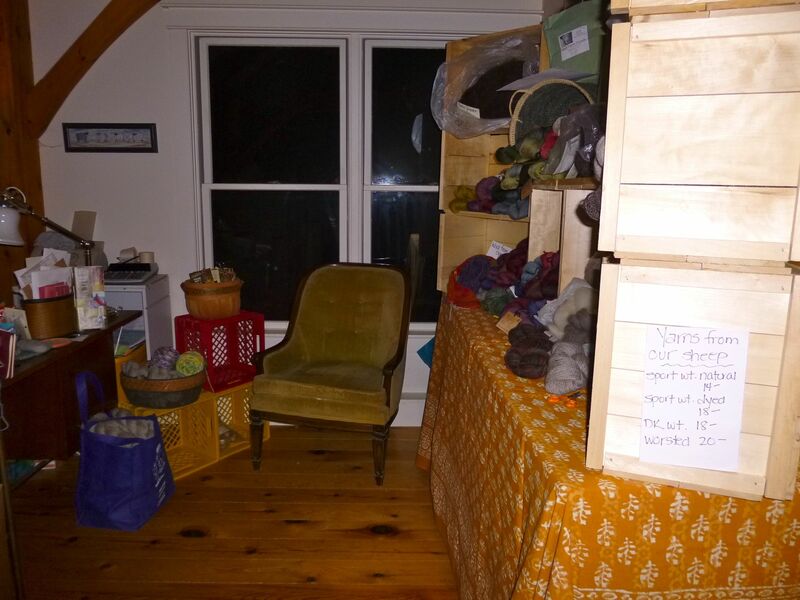 And before that can even happen, I need to sort fleeces (piles of fleece each still in its own sheet, clogging up the floor space) to get them out to be processed into yarn or roving. It is coming along and hopefully I can spend most of the day this coming Sunday. After all, I will have natural light pouring in all those lovely windows much later into the day than usual! I don’t know why the change of numerical date carries with it such a weight… I have never really enjoyed New Year’s Eve and all the partying. We have not gone out for New Year’s Eve in a very long time. I usually sleep through the changing of the calendar date. This year I had the opportunity to go for a gathering at a friend’s house to “spin-in” the new year, and that was a celebration that I can get addicted to! On New Year’s day we gathered for a potluck and a day of fiber and spinning. I am hoping that 2011 will continue as it has begun: with lots and lots of interaction with fiber :*) Everyone says it, that as soon as you start a fiber farm, you lose all the free time you had before that to actually spin, knit and weave . 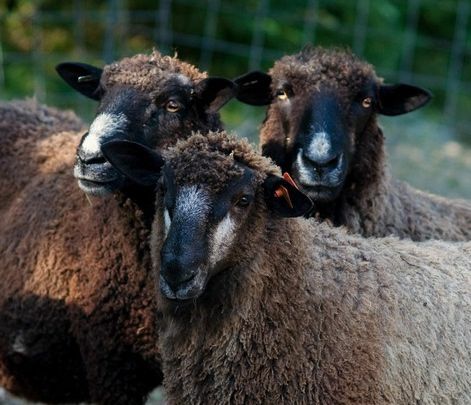 It’s true, but I wouldn’t trade our sheep for much of anything that I can think of. 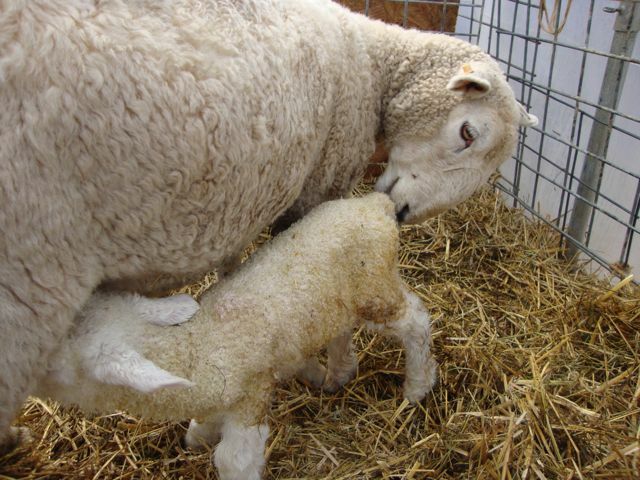 Who can resist faces like this, witnessing mother and lamb, and fiber that’s to die for!